Pesticides (herbicides, insecticides, fungicides, etc.) are widely used in both developed and developing countries to control or destroy pests. Pests (weeds, pathogens and arthropods) can interfere with the agricultural production and reduce the quality and yield of agricultural crops; indeed, approximately 40 percent of the global crops are lost due to pests every year. The proper use of pesticides has certainly helped in increasing the yields of agricultural crops. Thus, the application rate of pesticides has significantly increased in the past three decades; pesticide markets are worth about 50 billion dollars a year. Developed countries use 75 percent of global pesticides; the U.S. uses about 450 million kilograms (about 17 percent of the world usage) of pesticides annually. However, in the U.S. there are effective U.S. Environmental Protection Agency (EPA), U.S. Food and Drug Administration (FDA) and U.S. Department of Agriculture (USDA) regulations that farmers must follow to properly handle and use pesticides. Most developing countries, however, lack regulations and enforcement. Approximately 25 percent of developing countries lack regulations and 80 percent lack sufficient resources to enforce their pesticide-related regulations. Also, under existing international laws, highly toxic, banned or unregulated pesticides are always exported to developing countries. Thus, pesticide poisoning is a serious concern in developing countries, even though developing countries use only 25 percent of world pesticides. Pesticides have huge negative impacts on human health, especially for vulnerable groups (farmers and their families, people living near agricultural lands, children, pregnant women, immunocompromised consumers, etc.). Exposure to pesticides has been linked to several diseases, including Alzheimer’s, asthma, cancer, and others. People can be exposed to pesticides from different sources, including direct contact with pesticides, contaminated food or water, soil and air. It has been estimated that between one and 41 million people are affected by pesticides, with 200,000 deaths each year, 99 percent of which occur in developing countries. Recently, 23, 39 and 11 children died after consuming food contaminated with pesticides in India, China and Bangladesh, respectively. Also, the excessive use of pesticides in agricultural production in developing countries has negatively affected their income and international trade. The following is an example from Guatemala. Snow peas are among Guatemala’s most important non-traditional agricultural exports. 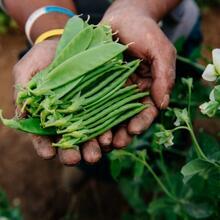 There are more than 20,000 snow peas farmers in Guatemala. About 80 percent of produced snow peas in Guatemala are exported to the United States. During the 1990s, pesticide contamination put Guatemalan snow peas under automatic detention by the FDA, which caused serious income losses to the Guatemalan farmers. The Guatemalan snow pea industry lost about $70 million during the ban between 1995 and 1997. Therefore, the U.S. Agency for International Development funded Guatemala’s Agricultural Development Project, where the integrated pest management (IPM) project was established. Following this move, the application of pesticides not registered by the EPA was stopped and replaced with registered pesticides. Farmers were also encouraged to adopt agroecological practices. Furthermore, a pre-inspection program on snow pea farms consistent with U.S. standards was initiated. The Guatemalan government also worked with other U.S. government agencies and trade associations to provide technical services and to develop laboratory capacities for residue analysis. Guatemala’s National Committee on Snow Peas, the International Pesticide Trade Association and the U.S. Peace Corps developed training programs to improve farming and handling practices and reduce hazardous pesticide and residues. As a result, the rejection of Guatemala’s snow peas was reduced by more 50 percent at U.S. ports. What are the best approaches for developing countries to reduce the catastrophic impacts of pesticides?